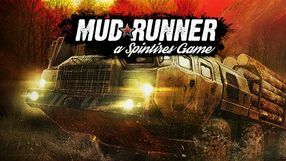 An advanced off-road truck simulator – Spintires: MadRunner is an enhanced version of Spintires. 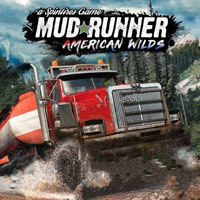 The game has been published by Focus Home Interactive and allows the player to drive various vehicles designed for extreme road conditions. Throughout the game, one can modify the available machines (the MadRunner edition features 13 new vehicles) and install new parts. The game delivers several large open maps located across Siberia, waiting for the player to explore. Moreover, one can complete numerous assignments (e.g. loading and transporting a timber to a specified destination within a predefined time limit) either on his own or via the online cooperative mode with up to three other players. The difficulty of these assignments lies in the fact that the terrain one has to traverse is subjected to real-time deformations – one’s vehicle can easily get stuck in the mud or fall off a cliff. In such case, a player has to use the automatic hoisting winch. 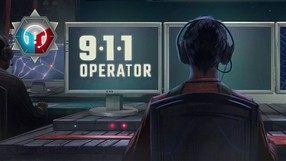 911 Operator is a game, a strategy-simulator developed by Polish studio Jutsu Games, which is a reiteration of a project which won the Indie Showcase competition held during Digital Dragons 2016. 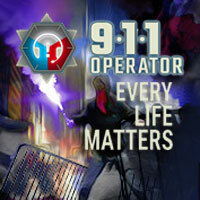 In 911 Operator you become a rescue service operator, and your job is to answer calls from people in danger. The story campaign takes place in 10 cities – you will face many different challenges; some of them amusing, some serious, some frustrating. During the game you have to give advice concerning administration of first-aid as well as choose the right number of people and equipment to send to the scene. A nice touch in the game is the fact that you can sometimes receive prank calls, which have to be recognized and ignored. A flight simulator set in the World War II period; the game was developed by Atomic Jelly and published by Movie Games. The story focuses on the titular 303 Squadron - a Polish combat unit formed in Great Britain. No. 303 Polish Fighter Squadron played a key part in the Battle of Britain. 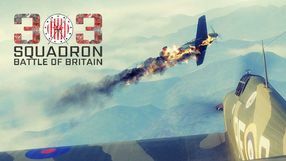 The player is given an opportunity to get acquainted with the stories irs pilots, mechanics, and other people who worked at the squadron's main base in Northolt, as well as to take part in authentic battles from the period, recreated in the game on the basis of historical evidence. Mechanics-wise, the creators emphasize quick and dynamic air battles, which situates the game somewhere between a simulation and an arcade experience. Between the subsequent missions, the player visits the aforementioned base, which can be freely explored. One can also fix their plane here and install various modifications. Additionally, the game features a lot of side assignments - those take the player to other military theaters. A game combining an arcade flight simulator with strategic elements, associated with the command of own squadron. 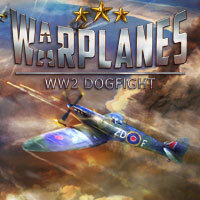 Warplanes: WW2 Dogfight takes place during the Second World War. The production was created by the Polish company Home Net Games. A sequel to the 2015 game by Mouldy Toof which was a unique arcade 2D platformer with elements of logic and RPG productions. 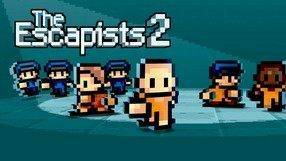 In The Escapist 2, the players assume the role of inmates locked up in heavily-guarded prisons, and their task is to work out the security system and to escape. To do so, we have to look for allies and items that can be crafted into useful tools while pretending that we tend to our usual prison routines. 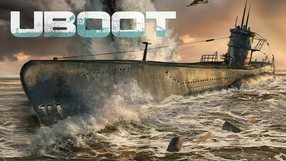 Compared to the original, the game features a myriad of enhancements such as new ways of spending spare time, a modified combat system, a possibility of creating previously unavailable items, and new ways of escaping. 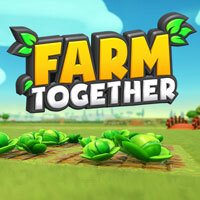 One of the biggest novelties is the introduction of a drop in/drop out multiplayer mode in which up to four players can play on a split screen or over the Internet. An expansion for the 2017 game Spintires: MudRunner – an advanced off-road truck simulator set in the harsh environment. 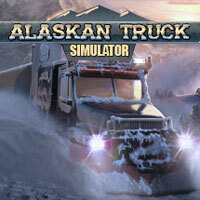 The add-on introduces two new sandbox maps, moving away from Russia to America, as well as related vehicles. 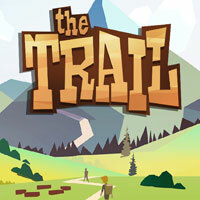 The Trail: Frontier Challenge is a survival game developed by Peter Molyneux's studio 22 Cans, creators of Godus and Curiosty. We play as a traveler who, after a long journey, reaches the New World and begins to explore it. Our job is to venture deeper into the land. As we play, we travel from town to town, camping on the way. We also collect and craft various items during our adventures. The game is slow-paced and focuses on being more relaxing than challenging. We will also find some multiplayer elements here - we can create communities with other players and work on our towns with them. The Trail: Frontier Challenge has colorful minimalist visuals. A simulation game in which we take care of a selected dog or cat and take care of its needs. 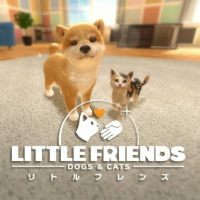 In Little Friends: Dogs & Cats we have to provide the fur with favourite delicacies, fill his free time with various activities, as well as dress him in various clothes and accessories. 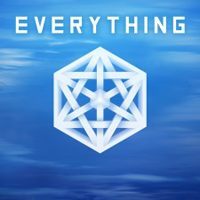 Developed by an indie developer David O’Reilly, Everything generates worlds, which you can watch from any perspective you like. Each universe can be observed in both micro and macro scale. You start playing in a particular place of a procedurally generated world, but the rest is completely up to you – you are free to take control of a single atom, animal, or object, and focus on its immediate whereabouts, or control an entire planet, star or even galaxy. The gameplay has no specific goal – what you do and why you do it is your choice. As you jump between different elements of the universe you create its encyclopedia – objects that you discover are catalogued, after which you can view them in a special menu. All that is complemented by decent graphics and atmospheric soundtrack as well as lectures of the philosopher Alan Watts. Interestingly, Everything is the first video game in history nominated for Oscar in the Best Animated Short Film thanks to its several-minute trailer – that film had also won jury’s award at Vienna Shorts Festival. A prisoner simulator that combines features of many genres. It was developed by Mouldy Toof in cooperation with Team 17 Software. The player assumes the role of a prisoner who leads a “normal” life in one of several available penitentiary facilities. The main objective of the game is to plan a way of escaping from the prison. In addition to participating in a series of daily activities like various works, workouts, meals, walks and interactions with other prisoners, the player is also gathering seemingly useless items, looking for allies and observing his surroundings in order to find weak points of security systems. The final phase is to use the previously prepared plan and escape. The Escapist offers great freedom of acting and many ways of escaping depending on prison style (among which there is for example a military prison camp). The game offers retro pixel-art two-dimensional graphics presented from a top-down perspective. 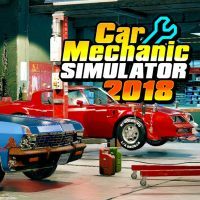 Car Mechanic Simulator 2018 Mobile is a special version of the third part of the Car Mechanic Simulator cycle dedicated to mobile devices. The player takes on the role of an aspiring car mechanic whose aim is to promote his workshop. The Polish company PlayWay is responsible for the release. 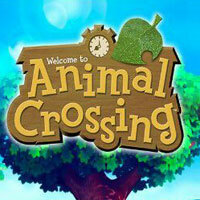 Animal Crossing is the next installment of the hit simulation series from Nintendo, which allows the player to try life in a fairytale village inhabited by anthropomorphic animals. 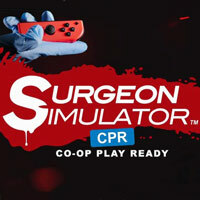 Surgeon Simulator CPR is a funny medical game developed by Bossa Studios. The players assume the role of a not very talented surgeon-wannabe who is trying to perform transplantation of various organs… which usually leads to very bad outcome. 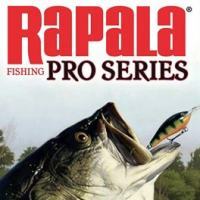 Rapala Fishing: Pro Series is a fishing simulator from GameMill Entertainment studio. The gamer plays the role of a professional angler, taking part in competitions scattered all over North America. 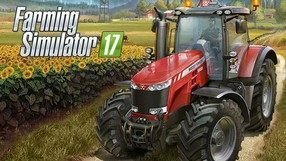 A simple farming simulator, in which the player controls a novice farmer with the mission of creating a huge and thriving farm. Even though it can be played solo, the game only shows its true potential in multiplayer. Another game of the independent band Daylight Studios. This time we play the role of a cook who works in.... the other worlds inhabited by potatoes. We will sort sinners and extract ingredients for incredible dishes - everything to satisfy the hungry gods of the potato pantheon. 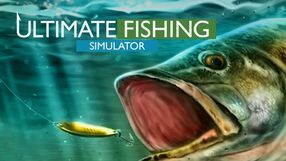 An advanced fishing simulator developed by Ultimate Games in cooperation with PlayWay. The goal of the developers of Ultimate Fishing was to create a game that would recreate all the appeals and nuances of this common hobby. For the purposes of the production, seven varied fisheries were prepared on the basis of actual fishing spots in Panama, Russia, Canada, or the United States. In each one, we can fish in various ways and encounter different kind of fish that require us to adopt the right approach and equipment. Virtual fishermen have a wide range of rods, reels, hooks, baits, and other items at their disposal. 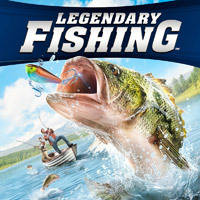 The gameplay is made more attractive by dynamic weather conditions and the day-and-night cycle, which, in combination with realistic water physics, makes fishing more varied and unpredictable. The game features an extensive multiplayer mode and an editor that lets us create our dream fishery. 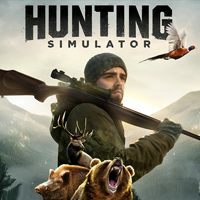 Developed by the independent Neopica studios and published by BigBen Interactive - Hunting Simulator delivers a realistic hunting experience, keeping it at the core of its gameplay. Players get to track animals representing 37 different species, including male and female predators, aquatic birds, as well as both big and small game inhabiting the flat lands. Depending on the game one intends to hunt, the players travel to one of the twelve available hunting areas, such as Canadian boreal forests, mountains in Colorado, and French chaparral. During the hunt, one has a large arsenal at their disposal, including not only firearms but also bows and crossbows. Among the available pieces of gear, one can find various lures, reconnaissance drones, and special wind direction indicating powders. Additionally, the gameplay is significantly affected by both changing weather conditions and the day and night cycle. The game features both single player and co-op multiplayer modes. A fishing simulator that allows the players to catch several dozen species of fish, in several locations and different weather conditions. The game was made by the French company Ubisoft. 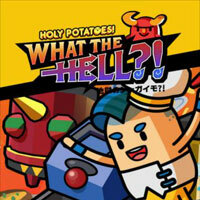 An adventure simulation game with arcade elements, in which we deal with a declining stud. 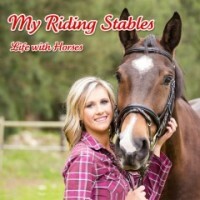 Our tasks include comprehensive care of horses and the budget of our undertaking, as well as taking part in races and equestrian challenges. The second DLC to 911 Operator, a game about managing large crises, developed by independent studio Jutsu Games from Warsaw. The expansion introduces two new cities (Boston and Miami), thirteen types of calls, two story scenarios and other new attractions. 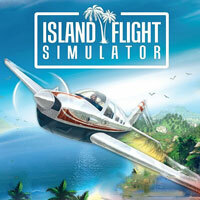 Island Flight Simulator combines elements of a simple flight and economy simulation games. 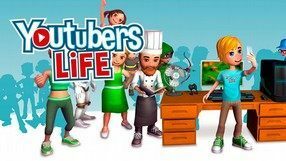 It was developed by Caipirinha Games. The game takes us to a tropical area, where we assume the role of a small transport plane pilot. The gameplay boils down to transporting various goods, including those commonly considered illegal, between twelve exotic islands. The campaign consists of over a hundred challenges which involve very simple and quick jobs as well as high-risk missions. There are three aircraft at the player’s disposal, each different in terms of performance and appearance. The money we earn are spent on fuel, repairs, and modifications that increase our airplane’s capabilities and, by extension, our chance of succeeding in subsequent missions. The flight model used in the game isn’t too challenging – the developers decided to make a sort of compromise, thanks to which beginner gamers can also enjoy the game.